Simple decor… I feel like that has become a major theme for me in decorating my home. Also in what I share here. No one has time for the massive home renovations, we all drool over them on HGTV and have that one wall (probably load bearing) that we would love to tear down. But; it is the simple, quick and easy ideas that are what we can all relate to. I need those in my life. I have a need to decorate my home and I also have a need to continue to take care of the three young kids in my home. You see what I mean? Easy is the name of the game lately around here. Which is why New rugs for the home, a small change makes a big difference. 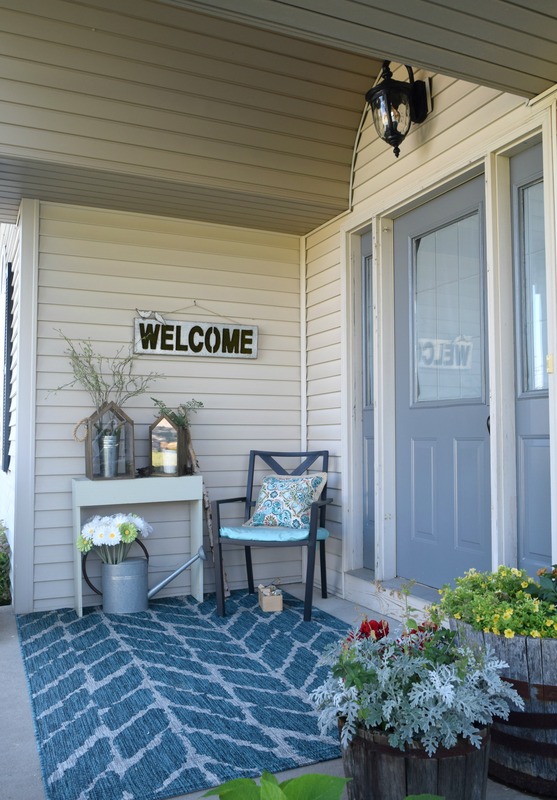 With summer in full force I am spending every free moment outside and with my little ones, so I fill my decorating obsession in small ways. I got some new rugs for a few spots in my home and it is insane how the new additions have made my home feel completely refreshed! In my quest to have my home feel refreshed (which seems like a great little commercial jingle) I have been transitioning my home to a more bold look. I am loving bright colors and busy patterns. Those things used to scare me because I did not trust my decorating instincts, so I played it safe. Now, not so much. I think it is just me being comfortable in staking claim to my home, I can use fun patterns and bold colors if I want to. There is such a freeing feeling in doing that, ignore trends or what others may think. Decorating your home is always personal and should always reflect your family, style and way you want it to be. My family is bold, loud and we are still a young-ish family. Formal and muted is not out phase in life at the moment, so bold feels very much “us” right now. It all started with this awesome multi-colored chevron rug. I purchased it on a whim from Wal-Mart years ago. Dale looked at me like I was certifiably crazy, but I loved it. I relegated this kind of bold to one area in my home that is deemed for the kids, because I was not sure how to transition it into the main living parts of our home. I really like the colors and pattern of this rug, it has felt so fun to me. People always compliment me on this rug and mention it, which helped give me a little confidence boost knowing others did not think I was crazy to like this rug. So I decided to put my big girl decorating pants on and decorate the way I want. Bold colors and busy patterns in the rest of my home! When we put wood floors in our living area I have dreamed of some pretty rugs to accent the furniture and make things feel cozy. I found a few rugs that did the job well enough. 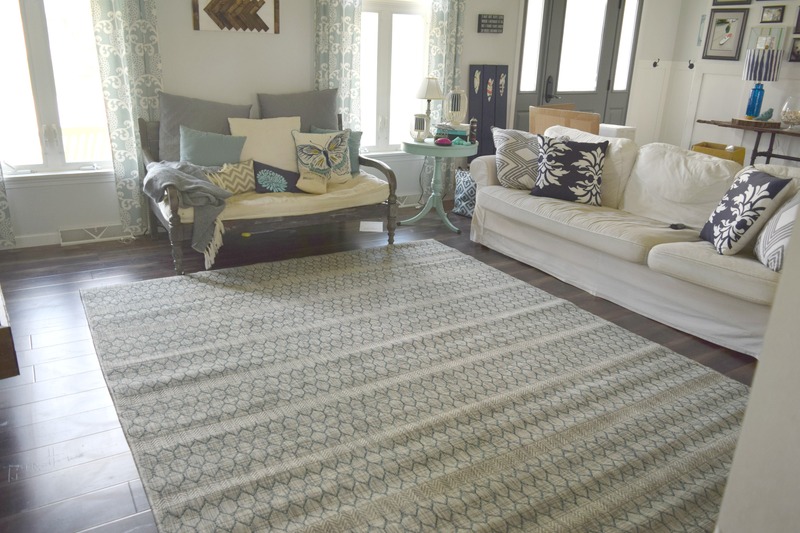 Rugs are a big deal to me and I was hesitant to commit to one unless I truly loved it. It can be difficult to find a rug that will compliment any decor changes. Rugs become one of those staple pieces and can take time to figure out. So I found some good enough ones with super low prices and continued on with my quest for the perfect ones. The rug in our kitchen was one of those ones that was ok-ish. It is a nice rug, but it had a lot of colors in it I was not really feeling for the kitchen. Then I saw this beauty! Let me back track a little bit first. 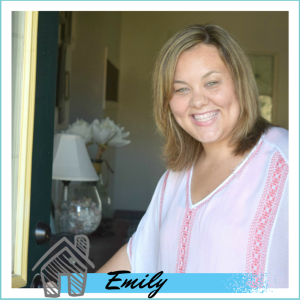 Being a home decor blogger is amazing for many different reasons, I get to talk home decor on the daily, I meet many people who are home decorating nerds like me, and I get to work with some amazing brands. I still have a tendency to geek out and squeal with excitement with the collaborations I have done. I was contacted by Rugs Studio about their rugs. I was not familiar with the brand, and went to their website. I was blown away with the options. I was able to narrow down by price, color, style, size… it was incredible. Even after narrowing down my search I had hundreds of rug options. I was salivating over all of the rugs, wishing I had a bigger home to put all of my favorites in. I finally found my ideas of rug perfection. These were more than ok-ish, they were what I was wanting to add to my home. I found this one, and initially really wanted it in the circle shape. But, because I suffer from tiny kitchen syndrome a circle rug will not fit in this space. I knew this rug would work perfectly in the kitchen, complimenting the light green cabinets and white subway tile back splash. It has the same pattern as the rug in the study, which is off of the kitchen. But, it is gray and white; so not too matchy-matchy. Fun hit of reality… in the background of this picture, right under the window there are two fallen plants. My boys brought them home from school and they got knocked over as I was taking these pictures by my two dogs. I can only laugh at these moments of reality. 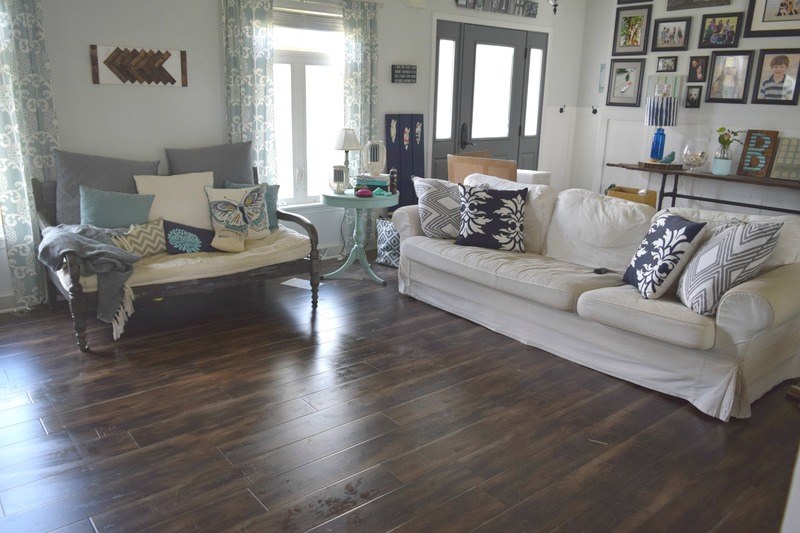 This is our home, pretty rugs, coastal decor, messes, kids, dogs and all! 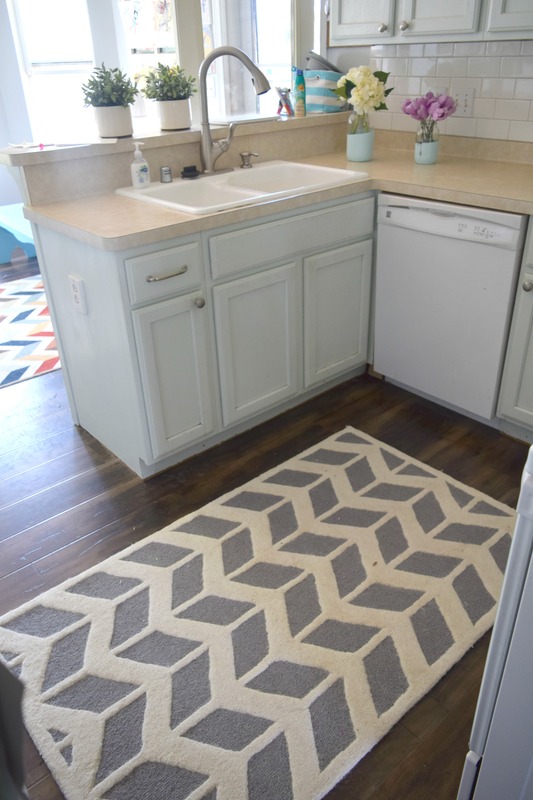 Back to the simple way I refreshed my home, rugs! This is a super plush rug that pops beautifully. 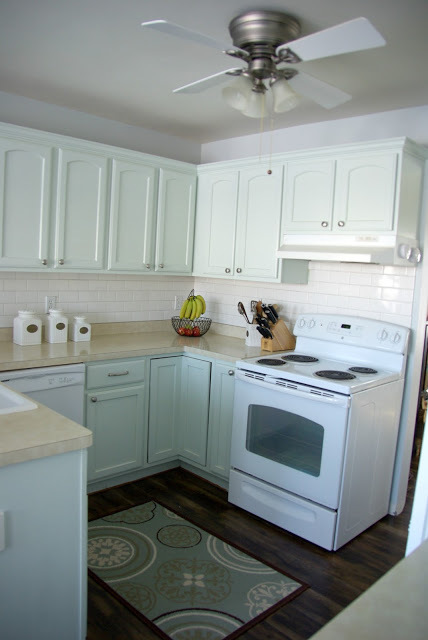 It is a very busy pattern, but the simple colors of it make it not overwhelm the kitchen space. Let’s be real, in my kitchen it is easy for anything to overwhelm the small space. Another area in my home that is begging for a new rug is in my living room. The one I put in there was too small for the space. What my kitchen is lacking in space, my living room makes up for. I have a big, huge living room. Finding a rug that was my style, color, and needed size was too much for me to figure out when we first put in the wood floors. I needed something and went with a simple, no frills rug. Over the years, my need for bold became too much to ignore. I also needed to replace the rug because my kids have this tradition or bringing in dirt, dust, sand, and spill things on the floor. The rug from far away looked clean but up close, it was rough looking. 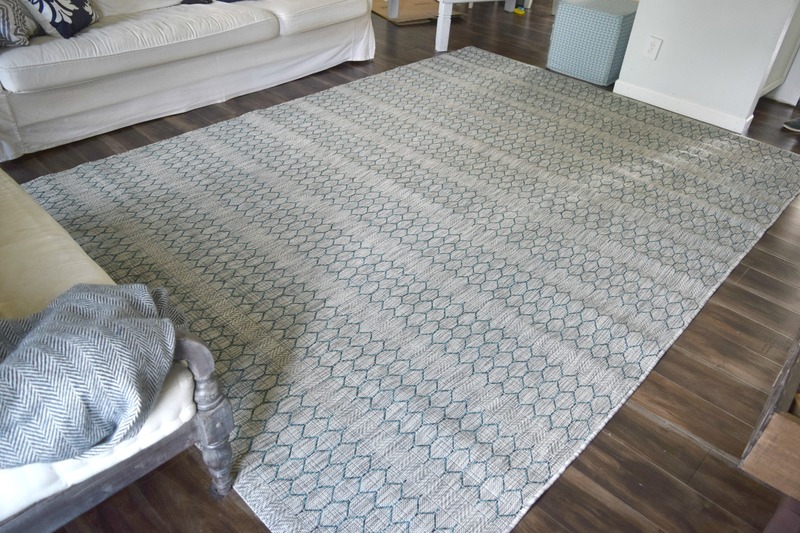 I fell instantly in love with this teal and gray rug, it had a ton of different options for sizing, so I was able to get the perfect over sized rug needed to really warm up the living room. The best part about this rug is that it is indoor/outdoor. It can be washed with a hose! That is a great cleaning option and speaks of the durability of this rug. Meaning when my kids get this dirty I can clean it and not worry about ruining it. I will no longer have to mutter the phrase “This is why we cannot have nice things.” Because I have a nice rug that is kid proof. The pattern had a bunch of fun things happening. 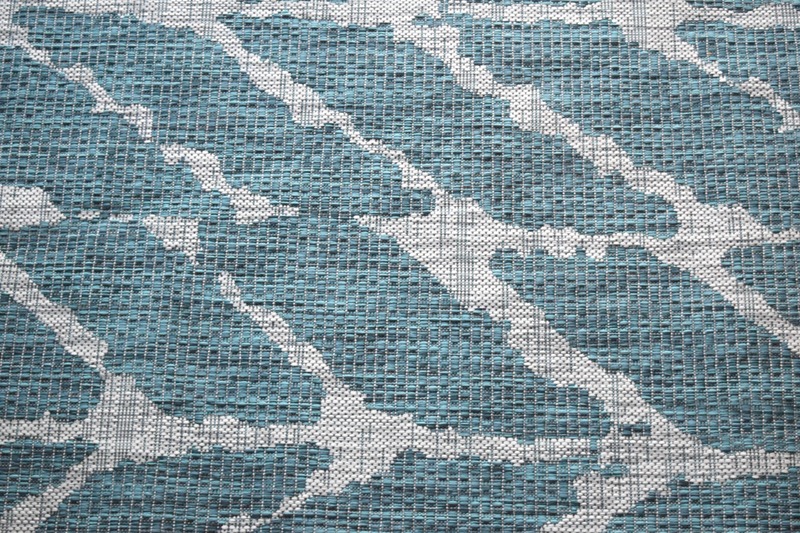 With the teal shapes, a slight chevron pattern and lines, it feels coastal without being overkill. My shells, octopus wall art, and crab decor hits you over the head with my coastal love. The rug is the perfect blend of subtle and bold. Of course, when I begin changing some things in my home I realize other problems, the curtains in my living room had to go. I have been toying with the idea of replacing them, after changing the throw pillows and wall art in here the curtains no longer fit. Once this new rug went in I knew it was time. I put up some sheer curtains that were in the guest room for now. Now that the rug quest is over and I have the rug of my dreams in here it is time to go curtain or fabric hunting. Did I mention I like decorating my home?!! Here is a tiny peek of my refreshed living room. I don’t want to give too much more away just yet, tomorrow I will be sharing my full summer home tour. 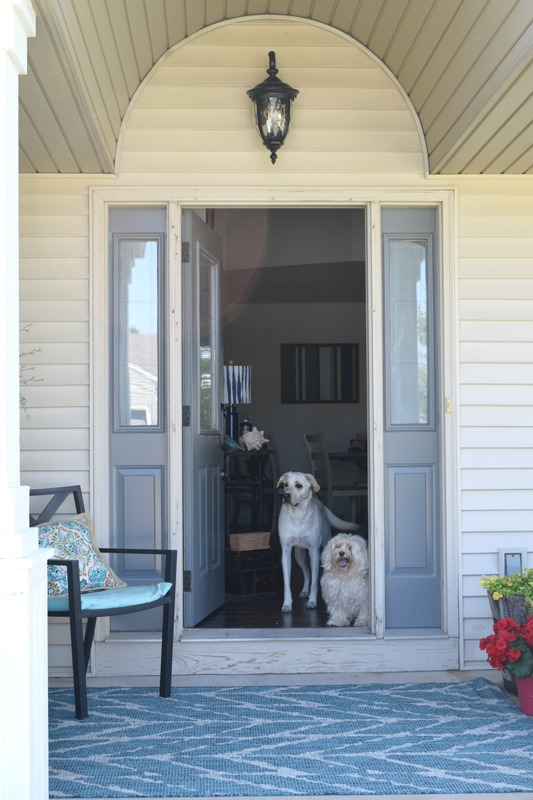 I shared my outdoor home tour last week and the interior is next. Be sure to check back for that! 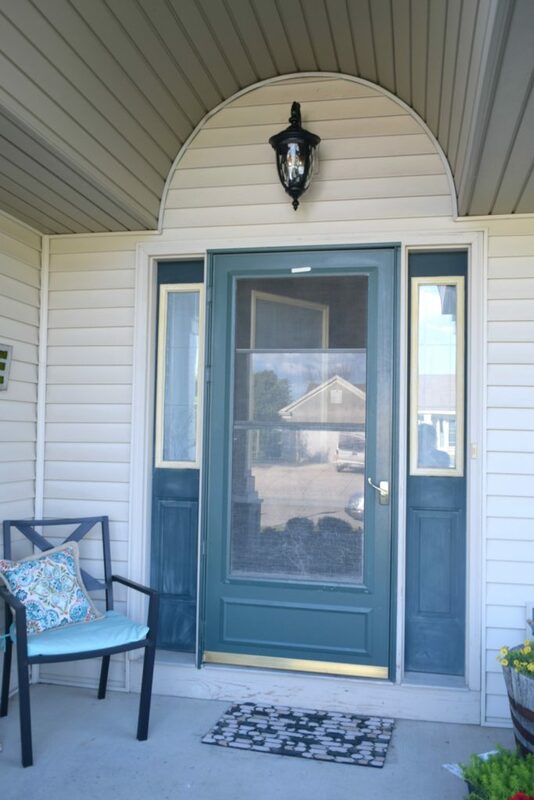 I have completed the outside of my home, and the inside is ready for summer. It is great to have it all done because I have months of enjoying my home inside, outside and all around all summer long. I plan to soak in every moment of summer now! Speaking of outdoors, I also put a new rug outside. 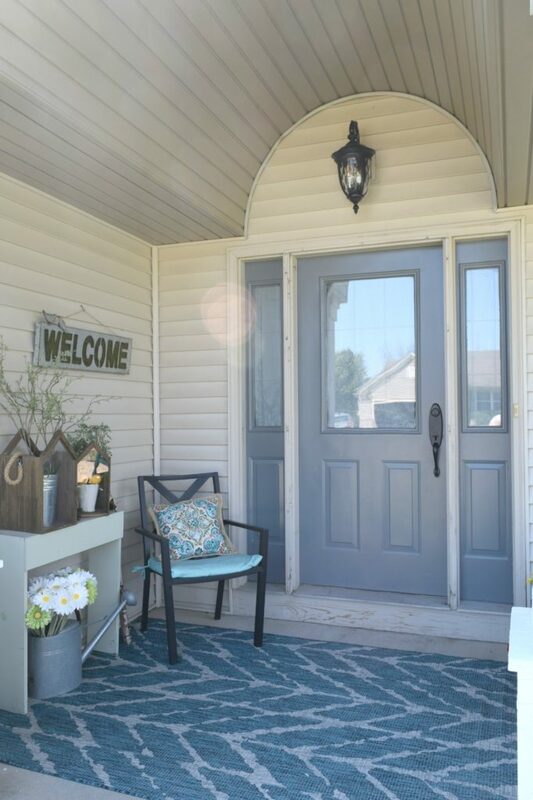 I showed it off last week when I shared my curb appeal reveal. The space got a face lift with new lighting, a painted front door, a ton of new flowers, painted furniture and a cozy outdoor rug to soften things up. The one there previously got kicked around more than it actually did any good. I picked this outdoor rug that my kids call the blue zebra rug. I loved this rug so much I was very close to getting this in a bigger size and putting it in my living room. But, I was not sure how the bold pattern and color would work with Christmas or other holiday decor. I know…. the irony of me wanting bold and bright patterns in my home and me worrying this is too much. I found the perfect median of this for my living room, and am more than willing to go this bold for my front porch area. The idea of having a rug this nice outdoors feels so fancy. This rug (as well as the one in my living room) are all made to withstand rain, sun and other outside elements. My kids have already spread out blocks to play on the front porch while I work in the front yard, Nora has read a book on here. I guess the idea of having a rug out here makes my kids feel like it is a legit relaxing area. The teal of this is stunning! My welcoming committee Teddy & Finn! 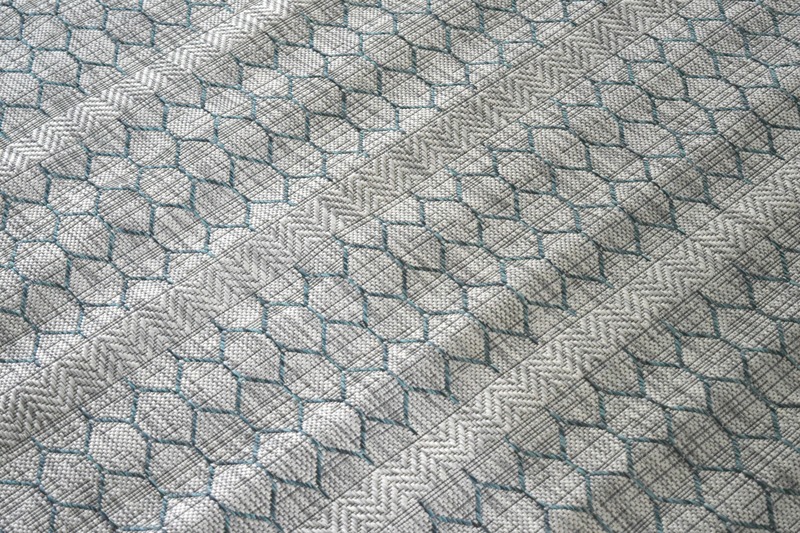 New rugs for the home, a small change makes a big difference, simple changes with a huge impact! Yes please! 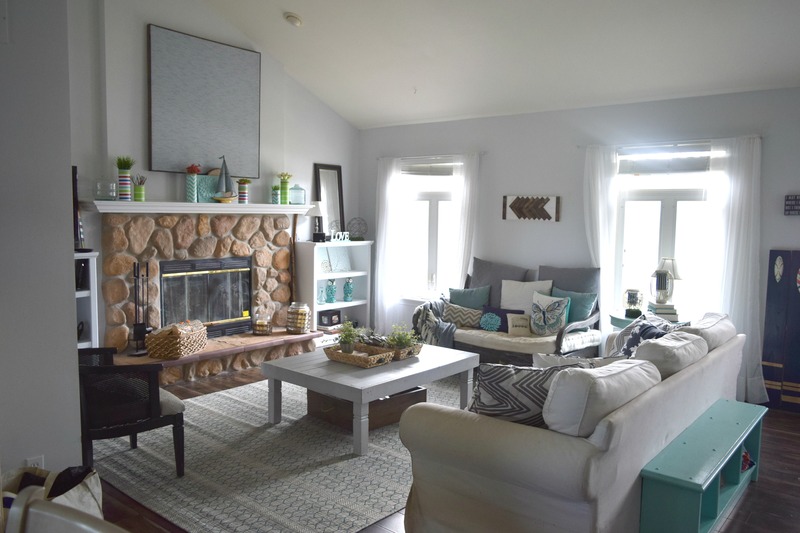 My three new rugs, combined with the new large wall art above my fireplace and the new pillows on my sofa are helping my transition into a more bold look for my home. I am still walking the line of not doing too much. Because too much of anything can be overkill. I think the rugs have the perfect blend of bold patterns, bright colors, but still can compliment other decor items in my home. I am still figuring out what exactly I want to do for curtains in my living room, I used to like to rush and decorate. I did not like any pause in decor, no transitional phase. Now I see the beauty in that, my living room is going through some growing pains. I am changing some items, feeling things out and taking my time deciding what I will do next. I would love to say this will culminate in some new built-ins on either side of the fireplace, a new ceiling light installed (with electrical work needed), and adding ceiling wood beams. But, then I remember I am all about the simple, quick and easy in my life at the moment. My kids are only little once, these moments are fleeting. I only have so many hours in the day, limited DIY home improvement knowledge, and we do not have an unlimited budget. So I am hit with reality and have accepted changing things in my home has to be a work in progress, one little thing at a time. Who knows how long it will take before I find the “right” curtains. But I do know I will enjoy day dreaming, planning, shopping, making and creating what will eventually be perfect for my home. Until I go through a new phase and want to redo it all again. I have come to the conclusion I don’t ever want my home done, I enjoy the journey far too much! All these rugs are simply beautiful. They really do bring a certain pop to your home and are great accent pieces! Love the simple touches! It really does make a big difference in the overall look! Love the colors in the room too! 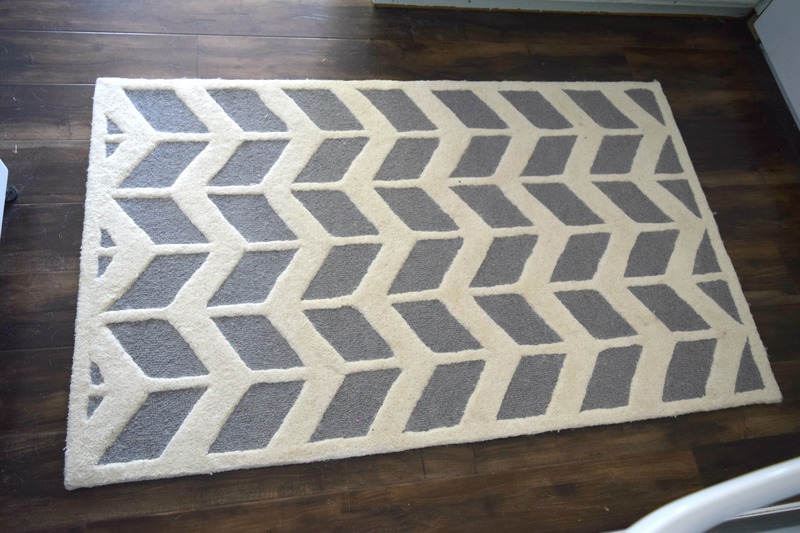 I love all of the rugs, especially the chevron style rug. 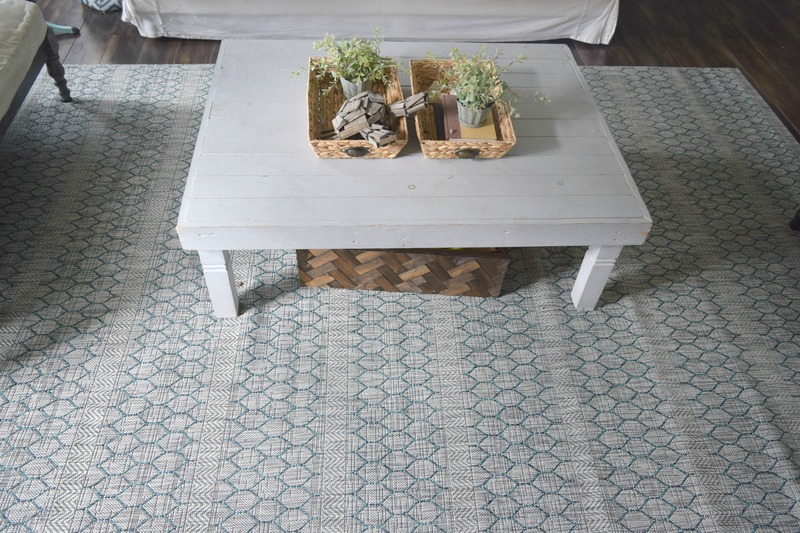 The rugs are a beautiful touch to your home! I find these to be stunning. I love teal as well. It reminds me of beach houses! Our house in Cape Cod needs some new rugs. They make a huge difference. Those rugs really do change the look of each space. Love them! It is amazing what a little throw rug can do. Even is that is all you do, it looks like so much more. The rugs are just beautiful! What a difference the size and teal in the living room rug makes! Really great update! These look fantastic!! I am in the market for a rug so I will have to check out some of the ones you shared. Emily, everytime I look at your spaces in you home, you do an amazing job in organzing everthing in its space, I like how you have the kids space blend with the rest of the home and it looks so very stylish and chic. 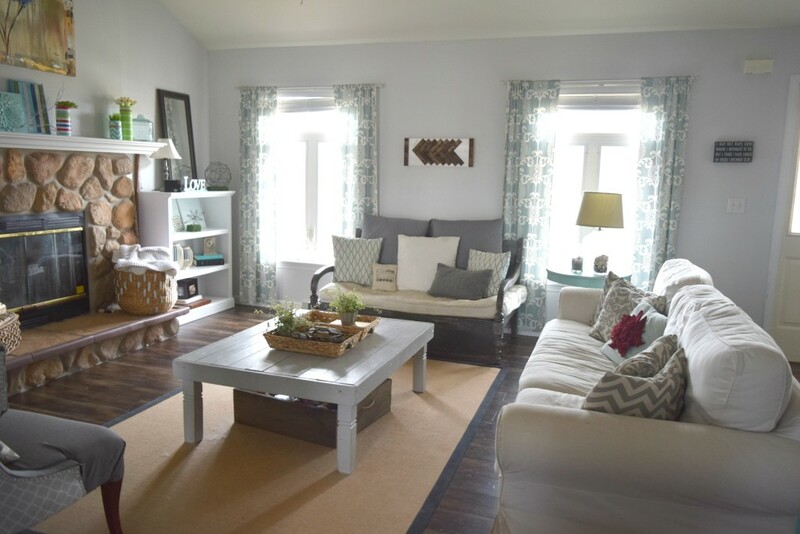 I love the grey table, great color, goes great with the rug. It’s amazing what a difference a little change can make in a room. 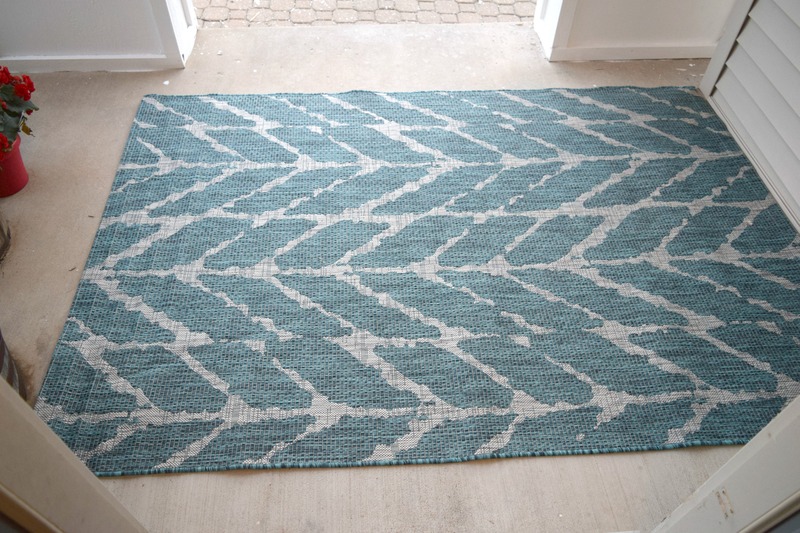 Rugs are a great idea, and those are all beautiful! We just put a new rug in the living room- I can’t believe the difference it made! Wow, this really made me want new rugs. I got rid of most of ours because of my cat. They really complete the look of each room. 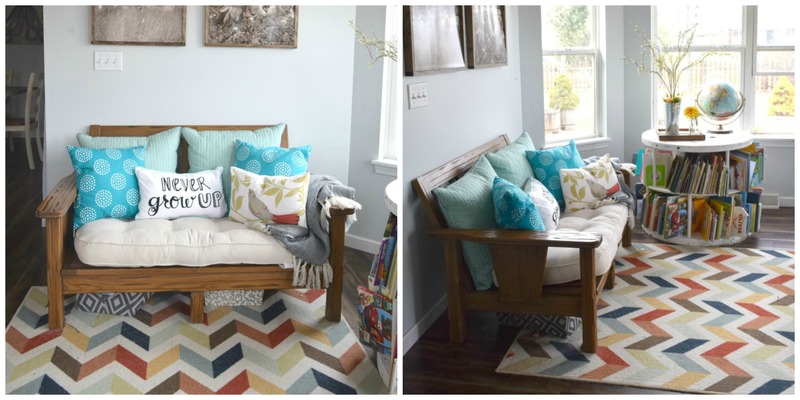 I love all the rugs you featured here! 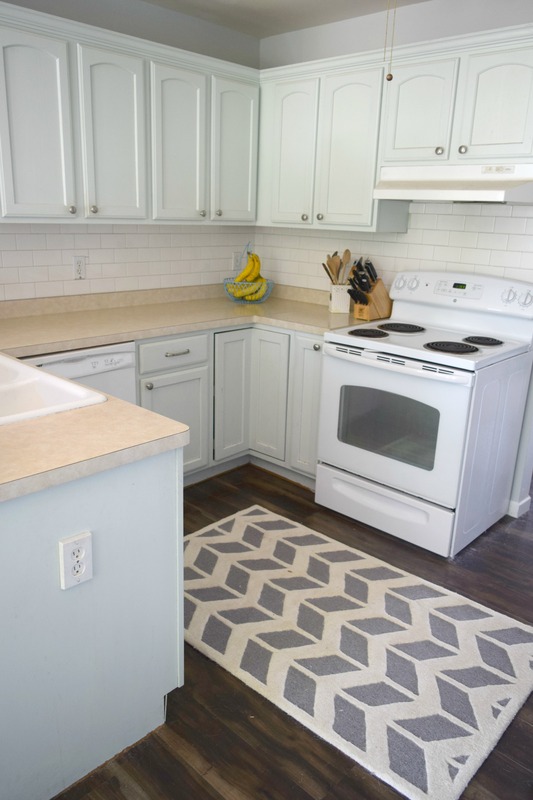 I’m in the process of updating the small breakfast area in our kitchen and looking into getting new rugs. Where did you get yours? Oh wow! I love that new living room rug, in particular! Great choice. First of all, this was SO great to see the pictures! My husband has been after me to get rugs in our house and I couldn’t quite visualize it so this was SUPER helpful! Your house is so cute I love it! These pictures are beautiful! 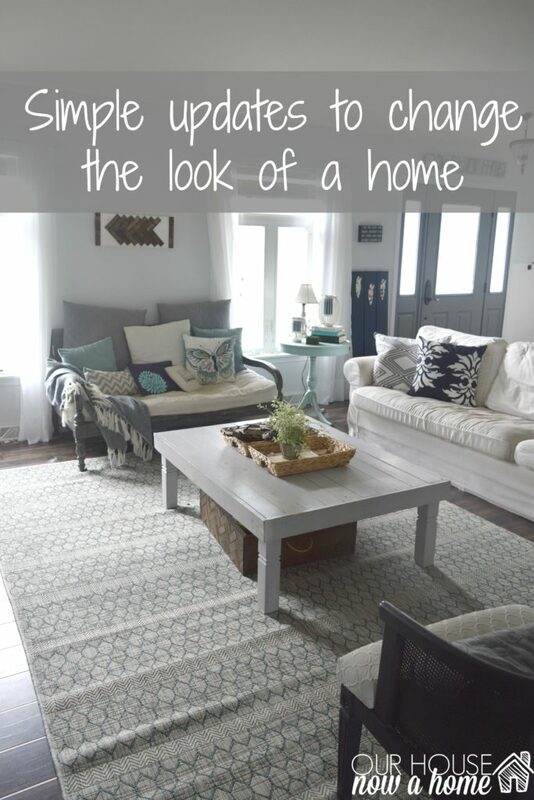 I love how cute the rugs are and how much life they bring to your rooms! Great choices! A statement area rug can make all the difference! My kiddo just covered our living room rug in lipstick so it’s time for a new one. Ha! Rugs can definitely make a difference! Your home is beautiful and has given me inspiration!! Thank you! 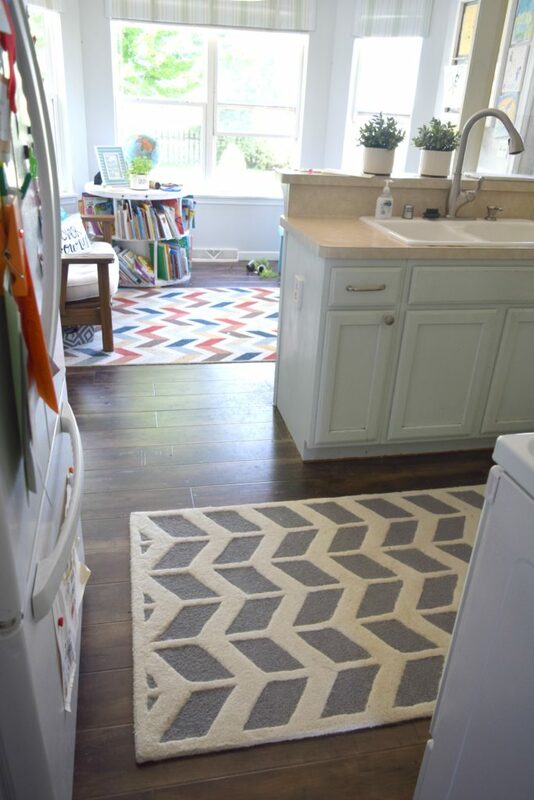 These are all fantastic rugs, but I think my favorite is the gray chevron one in the kitchen. I haven’t heard of this company before, but I will definitely be checking them out! I LOVE the living room rug. It is so beautiful. You clearly have a wonderful vision when it comes to home decor. 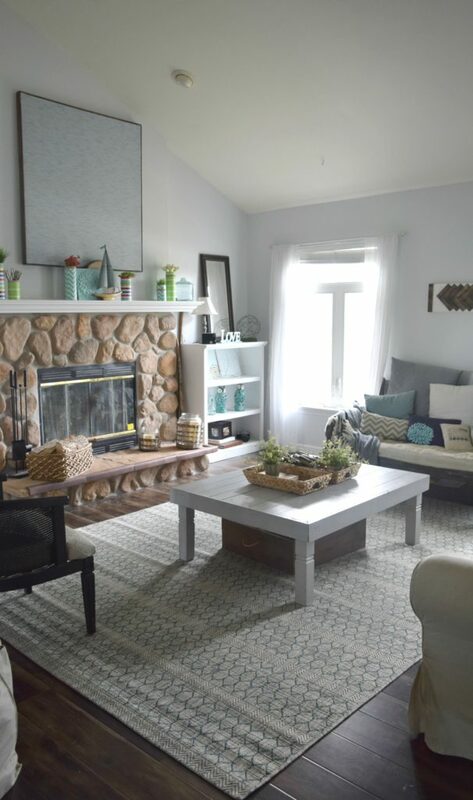 It’s incredible how just adding a rug to a room can make it look that much different. I need to give this a try to update my living room. I absolutely love how rugs can just make a room seem so much more complete and clean. The rugs you have are beautiful!